It is possible to mix two different non corrosive gas streams easily with the FC Technik gas mixing module. It works accurately and independend from changing pressure situations on the gas outlet side.The gas mixing module contains two mass flow controller of the flox[on] series. The measurement of the flox[on] mass flow controller is temperature and pressure compensated with a very high control accuracyin the lower and upper flow ranges. 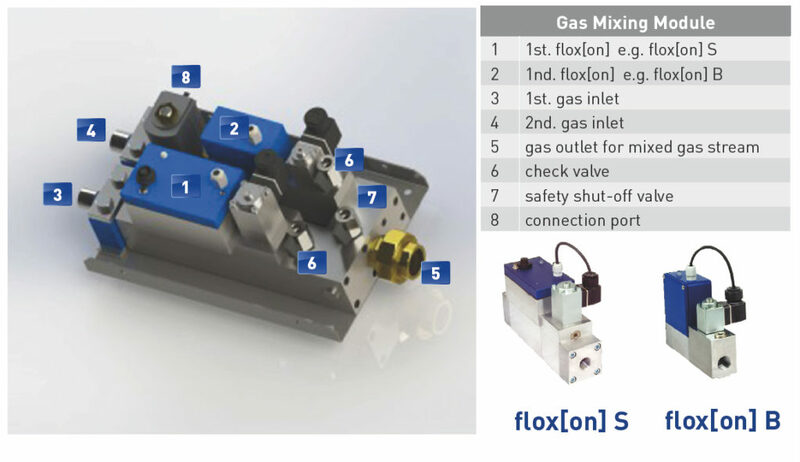 Depending on customers requirements it is possible to combine different types of flox[on] to cover a range of 2 up to 7000 Nl/min gas flow. 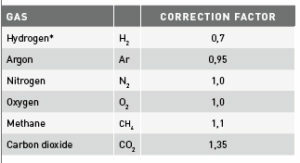 factors for applications using other gases.